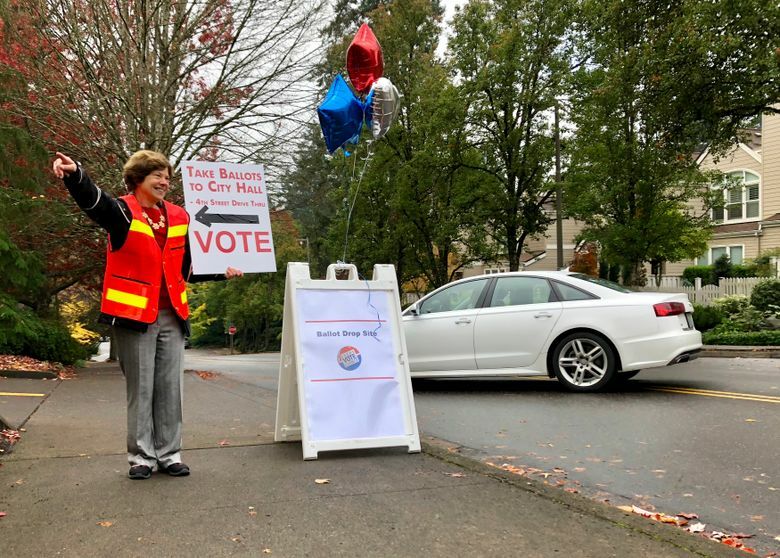 PORTLAND — Oregon voters weren’t afraid to say no this election as they weighed in on an array of hot-button social issues from abortion to immigration to taxes. Ballot measures to repeal the state’s first-in-the nation immigrant sanctuary law, prohibit state funding of abortions and add a ban on future grocery taxes all failed at the polls Tuesday. Voters also rejected a measure that would have required a legislative supermajority to approve bills that raise revenue in any way — not just through taxes. The only statewide ballot measure to pass was one that will make it easier for government entities to finance and build much-needed affordable housing. “Tonight, we’ve raised our voices in unison. We’ve shown the world real Oregon values and now it’s time to put those values to work,” said Gov. Kate Brown, the Democratic incumbent who was re-elected Tuesday. The measure to repeal Oregon’s 31-year-old sanctuary law came against a backdrop of growing national anxiety over immigration. Oregon adopted a law in 1987 preventing law enforcement from detaining people who are in the U.S. illegally but have not broken other laws. Delmiro Trevino, a U.S. citizen born in Texas, was waiting for a meal in a restaurant in 1977 when three sheriff’s deputies and a policewoman demanded he show documents proving he was an American. The exchange bothered Trevino, who went with his wife to a legal aid group. He eventually sued and the case was settled in federal court the following year. But when the legal aid attorney who helped him was elected to the state Legislature, the Democratic lawmaker introduced a bill that passed with bipartisan support in 1987. The proposal to repeal the so-called “sanctuary law” was the most controversial of several measures on the Oregon ballot — something that was not the case when it was written. 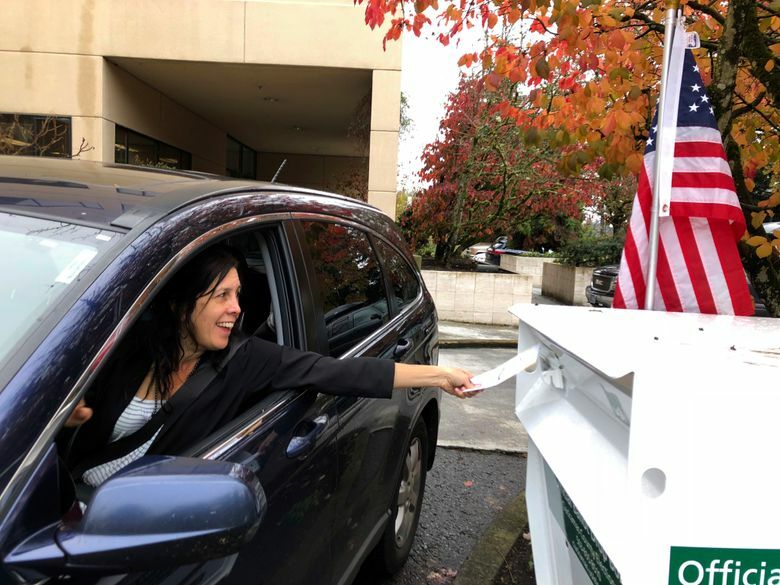 Rocky Barilla, who wrote the sanctuary state bill and was Oregon’s first elected Latino legislator, said late Tuesday he was relieved to hear the measure had failed. “When the bill went through the legislative process, it was non-controversial. Maybe one or two people voted against it. There was no issue,” he said. Measure 106, which would have banned the use of public funds for abortion coverage, also failed. Voters have previously rejected attempts to limit access to abortions, including in 1978 and 1986, and Oregon has not placed any additional state restrictions on the procedure since 1973, when it became federally legal. A measure requiring parental notification before a minor’s abortion failed in 2006. Measure 103, a measure to ban future grocery taxes, was seen by many as a pre-emptive strike against a statewide soda tax and grocery giants and the beverage industry poured millions into the campaign. 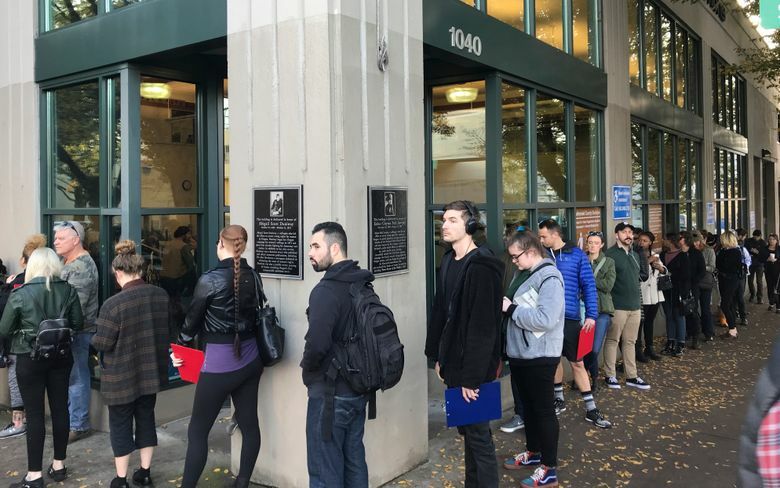 But many Oregonians simply saw it as another attempt at a sales tax in a state that doesn’t have a sales tax and has consistently voted against one.